If you experience any or all of these unpleasant symptoms, you may be suffering from IBS (Irritable Bowel Syndrome). To cope, you may plan your life with more care to avoid uncomfortable situations. 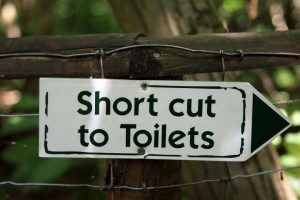 For example, you may decline an evening out with friends if you’re feeling bloated, or to avoid explosive diarrhea while at work, you may wait to eat until evening. If you’re planning life around your symptoms, it’s time manage them more effectively. If minimizing symptoms is on your wish list, it’s worth seeing if certain foods could be playing a leading role in your IBS. You may already be avoiding foods you believe to be causing discomfort. However, if your assumptions are based on when you eat and the subsequent onset of symptoms, you may be placing much of the blame on the wrong foods. Many people (including myself) successfully manage symptoms by following a low FODMAP diet. FODMAP is simply an acronym used to describe different types of carbohydrates that have the potential to cause symptoms. Basically, they’re poorly absorbed, they feed bacteria that live in your colon, and they can draw fluid into your intestines. Needless to say, the amount of FODMAPS in your digestive system can matter. Some people who learn about the low FODMAP diet jump right in after finding a list of foods to avoid. However, this approach doesn’t narrow down which FODMAPS are your triggers, possibly limiting your diet unnecessarily. A better approach is to follow an elimination diet that methodically puts all FODMAPs to the symptom trigger test. This process provides the data you need to improve your quality of life. My goal is for you to eat the widest variety of foods possible while minimizing symptoms. 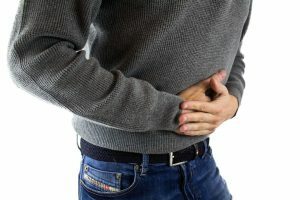 Those with other digestive disorders, such as ulcerative colitis and Crohn’s disease may also find symptom relief by following a low FODMAP diet. I’m happy to discuss this with you.